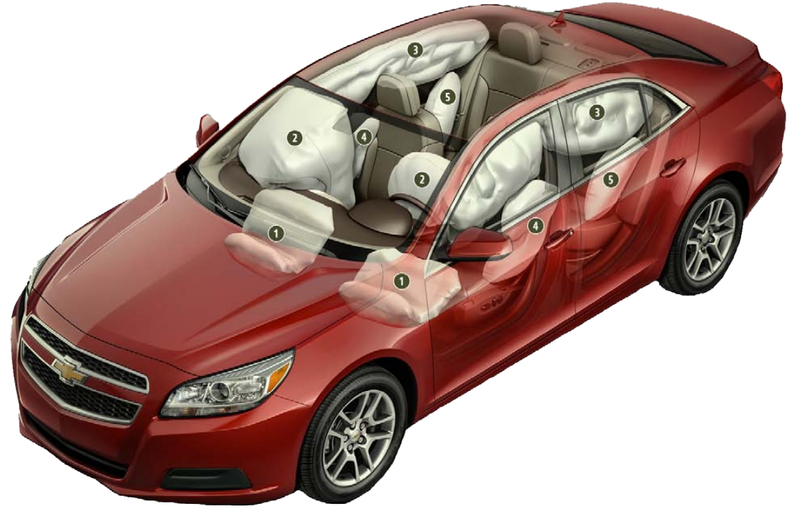 Where are airbags located in my car/truck? Pretensioners are part of the safety belt system for the driver and front passenger of many vehicles. Some vehicles may have more then one pretensioner at a given seat position. Retractor pretensioner may be in the B-pillar or in the seat. Buckle pretensioner are attached to the inboard side of the front seat. Anchor pretensioners are usually attached to the outboard side of the front seat, or they may be attached to the floor, nex to the outboard side of the front seat. In crashes of sufficient severity, these systems initiate the tightening of the seat belt in split second. What does an airbag control module look like?